As a part of efforts by Gov. Tom Wolf’s administration to address contamination from per- and polyfluoroalkyl substances (PFAS), the Pennsylvania Department of Environmental Protection (DEP) announced a statewide sampling plan to identify impacted drinking water supplies. The sampling plan will test water taken from more than 300 public water supplies with elevated potential for contamination based on proximity to common sources of PFAS, such as military bases, fire training sites, landfills and manufacturing facilities. The sampling plan will begin collecting information in May 2019, and the first planned phase will last approximately one year. DEP Secretary Patrick McDonnell said the state plans to set a maximum contaminant level for PFAS, something the federal Environmental Protection Agency has said it would not establish at the federal level. McDonnell called it an “unprecedented” step for the state. “This sampling plan will shed light on the extent of PFAS contamination in Pennsylvania,” McDonnell said in a statement. “DEP will not hesitate to step up when the federal government fails to do so.” Click here for the DEP press release. The deadline to register for the 2019 municipal primary election is Monday, April 22. Find information about how to register to vote here. The primary election will take place on Tuesday, May 21, with polls open from 7 a.m. to 8 p.m. Your client is being denied a U&O permit or a temporary access permit. The municipality must provide one of these as long as a required code inspection has been completed. Your client is being asked to provide escrow toward repairs on the home prior to the sale, as a condition of receiving a temporary U&O permit. A municipal official tells you that Act 133 does not apply to them for any reason. The Falls Township Board of Supervisors will hold a special meeting on Tuesday, April 30, at 7 p.m. to review the application of Elcon Recycling Services to construct a hazardous waste treatment plant on a 23-acre site in the Keystone Industrial Port Complex. The special meeting will be held at Keller Hall at Pennsbury High School West, 608 Olds Blvd. in Fairless Hills. The board has heard years of comments from residents and neighboring community members opposed to the plan. Until Elcon’s recent formal land development plan submission, the Falls supervisors had no jurisdiction to weigh in on the project. The supervisors are required by law to fairly review the project and consider the plan. 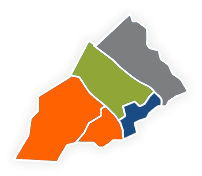 Click here for information related to the Elcon proposal on the Falls Township website. A $246.3 million proposed budget for 2019-2020 will be considered by the Council Rock School Board at its Thursday, April 25, budget forum. The proposed final budget includes a 2.3% property tax increase — equaling a roughly $110 tax increase for the owner of a property assessed at the school district average of about $38,500. The millage rate would increase to 126.45 mills for a tax bill of about $4,870 for the median property. The 2019-2020 budget maintains staffing and educational programs at current levels, allocates about $2 million for technology, and continues to fund extensive improvements at schools around the district. The budget is scheduled to be finalized at the Thursday, May 30, meeting. Visit the Council Rock School District website here for more information. The Pennridge School Board is considering a 2019-2020 budget proposal that does not increase property taxes, does not include a structural deficit and does not include new borrowing. If adopted, it would mark the third year in a row without a tax increase in the school district. With no changes to the plan, the owner of a property assessed at the district average of about $31,000 would continue to pay about $4,200 in school tax. Superintendent David Bolton said that the budget continues to fully fund the district’s six-year capital project plan, which provides for the upkeep and improvement of district facilities. The proposed final budget is expected to be approved Monday, May 13, and a final budget adoption is scheduled for Monday, June 17. The East Goshen Township Department of Parks and Recreation was recently honored as the 2019 Agency of the Year by the Pennsylvania Recreation and Park Society. East Goshen was recognized for positioning parks and recreation as an essential public service with meaningful community impact, showcasing innovation and collaboration, and demonstrating a high level of resourcefulness over the past five years. Some recent department achievements include opening the first DCNR state-funded playground in Pennsylvania, securing $5.6 million for the Paoli Pike Trail and other projects, and increasing community programming by more than 400 percent. The Chester County Planning Commission will hold an open space summit on Thursday, May 2, from 5 to 7 p.m. at ChesLen Preserve, 1199 Cannery Road, Coatesville. County residents are invited to attend a celebration that will mark the 30th anniversary of the county’s open space preservation program, the first of its kind in the region. The event will celebrate the economic value of protected open spaces — public parks, preserved farmland and private conserved lands — and show the proven and substantial economic, environmental and public health benefits to surrounding communities. A partnership of county departments, land conservancies and economic development agencies undertook a study to better understand and quantify these benefits. The subsequent report, titled “Return on Environment: The Economic Value of Protected Open Space in Chester County,” will be released at this event. Additional event details and registration information may be found here. The Avon Grove School Board unanimously agreed last November that the maximum authorized cost for its facilities construction project — which includes building a new high school, renovating and converting the current high school to a middle school, and realigning the remaining schools — is $127 million. False information indicating that the facilities project will cost $269 million and the district will borrow $139 million is circulating. School officials emphasize that those numbers are not accurate. The $269 million figure was most likely derived from a hypothetical bond repayment schedule included in the bond parameters resolution that the school board passed in November. New Garden Township Supervisors will consider amendments to an ordinance pertaining to historic preservation. The historic resources map and historic resources inventory will also be considered for adoption. The ordinance requires: compliance of any demolition, rehabilitation, enlargement, alteration or relocation of a historic resource as shown on the historic resources map; preserves other restrictions, and sets forth definitions and meanings for: adaptive reuse, alteration, contributing resources(s), conversion, residential, demolition, demolition by neglect, historic resources, historic resources inventory, historic resources map, historic site, minor repair, non-contributing structures and rehabilitation. The ordinance will be considered for adoption at a meeting on Monday, April 22, at 7:30 p.m. at the municipal building, located at 299 Starr Road, Landenberg. The Upper Darby School Board addressed two demands made by Clifton Heights Borough Council. The borough issued resolutions demanding a Clifton resident be seated on the nine-member board within 45 days and that the district provide an environmental impact study with any construction application to build a new school on North Springfield Road in the borough. “Mr. Lombardo, I don’t believe anybody besides your attorney [Solicitor Frank Catania] … notified us that you were requiring that one of us resign in the next 45 days when we’ve been duly elected to the school board,” said School Board President Rachel Mitchell. No member of the board offered a resignation at the meeting. Clifton officials and residents have been asking for more inclusion in district affairs since plans were first unveiled for the new middle school on fields now used for community events and athletics. No Clifton resident has sat on the school board since 2015. The board entertained the idea of looking at census data to potentially reconfigure future makeup of the board to be apportioned to all communities (Upper Darby, Clifton Heights and Millbourne) but there wasn’t strong support of that idea by the seven members present at the meeting. The school board is elected at large among the electorate in its three municipalities. All nine current school board members live in Upper Darby Township, including seven members from the Drexel Hill section. On the environmental study resolution, Mitchell reminded the public that the study is part of the schematic work for the middle school project that was approved last month. Downtown Wayne needs a facelift if it’s going to keep up with King of Prussia, Devon Yard, Ardmore and other area retail meccas. That was the consensus at the Radnor Board of Commissioners meeting when several members of the Wayne Business Association pressed the commissioners to make good on earlier promises to beautify that area of the township. The commissioners agreed to ask Thomas Comitta Associates to submit a proposal for a scope of work to design and engineer landscaping improvements in the Wayne Business Overlay District. However, it tabled a plan to borrow $4 million for planning and improvements for the business district until a capital budget discussion is held in April. An investigation into the conditions of a former landfill in Folcroft concluded the site poses almost no health effects to the public but continued cleanup efforts are necessary. Josh Barber, a remedial project manager with the U.S. Environmental Protection Agency (EPA), came to the Delaware County Emergency Services Center to discuss the findings of a remedial investigation of the former Folcroft Landfill and Annex Site, comprising more than 60 acres of former wetlands that was the site of illegal dumping from the 1960s to the early 1970s. The landfill is part of the EPA’s Superfund program, aimed at cleaning up the nation’s most hazardous waste sites. “The key takeaways from the RI [remedial investigation] are that cleanup is warranted to address the risks and the fact that the landfill, even though it was covered, is not currently up to current-day standards of landfill closure requirements,” said Barber, who oversees the Lower Darby Creek Area Superfund sites, including the Folcroft Landfill. The remedial investigation’s final conclusions include that landfill gas impacts are not a concern, contaminants of concern do not pose unacceptable risks to human health, and any future risks to human health are limited to vapor transport into a hypothetical indoor air scenario. The former landfill is located in Folcroft, but it is part of the John Heinz National Wildlife Refuge at Tinicum, which is administered by the U.S. Fish and Wildlife Service. The next steps in the remediation process are a feasibility study, which is already underway, then cleanup. Read more about the EPA Report and view slides from the EPA presentation on the EPA website (PDF). Millbourne Borough Council hosted a roundtable discussion over its struggle to find long-term fire protection for the community. In attendance were state and county officials, including state Sen. Tim Kearney (D-26), of Swarthmore, state Rep. Margo Davidson (D-164), of Upper Darby, and County Councilmen Kevin Madden and Bryan Zidek. Millbourne Council President Justin Skariah and Mayor Thomas Kramer provided an overview of the fire department situation that began last September, after Millbourne Fire Company and borough officials could not agree on personnel and renovation of a fire station meeting room deemed unsafe. It has been three months since the official “out of service” declaration by the volunteer fire company. Discussion also centered around the development of the 17-acre former Sears property near 63rd and Market streets, now leveled and privately owned by Morris Willner. Borough officials said the initial plan was to build housing, a new borough hall and a new police station, enabling the fire company to take over the existing building that houses the fire company, borough offices and police station. Rep. Davidson said development of the site never took place due to the removal of a traffic light at the entrance of the property. Pennsylvania Department of Environmental Protection (DEP) officials met with residents in Abington Township as part of their continued campaign to address a class of toxic chemicals increasingly found in water supplies throughout Pennsylvania. Per- and polyfluoroalkyl substances, or PFAS, were first discovered in Bucks and Montgomery county drinking water supplies in 2014. Since then, DEP has found the unregulated chemicals in about 20 other locations in Pennsylvania. Gov. Tom Wolf formed a PFAS Action Team, made up of officials from numerous state agencies and led by DEP Secretary Patrick McDonnell, to address the issue. DEP has announced that it will set a statewide drinking water limit for the chemicals, establish cleanup standards and, most recently, sample several hundred drinking water systems throughout the state believed to be at high risk of potential PFAS contamination. Sharon Watkins, director of the state health department’s Bureau of Epidemiology, announced the department would hold a public meeting at the Horsham Public Library from 6:30 to 8:30 p.m. on Monday, April 29, to review further details of a small-scale blood testing program conducted in Horsham, Warminster and Warrington last year. The Bucks County Courier Times and The Intelligencer have made all reporting about the water contamination issue available on their websites as a public resource — http://www.buckscountycouriertimes.com/news/horsham-pfos and http://www.theintell.com/news/horsham-pfos. Maps of the contaminated areas have been added to those sites, along with recent news articles and efforts by area legislators to fund testing and cleanup. Realtors® are encouraged to reach out to specific municipalities for more information regarding water safety in areas where they do business. Pollack Park, located between Cross and South streets in Pottstown, was closed in November 2017 after borough officials found unsafe heavy metal contaminants in park soils. The borough had been in the process of planning upgrades to the park when the contamination was discovered, and subsequent testing “identified the presences of metals, volatile organic compounds (VOCs), polycyclic aromatic hydrocarbons (PAHs), and polychlorinated biphenyls (PCBs) in soils” above state standards. Further soil borings found that beneath a thin layer of topsoil was a combination of soil and fill, consisting of metal, brick, glass, slag and wood. The borough acquired the property in 1979, but before that, from at least 1909 to the 1970s, the site was part of a metal scrap yard. A study is required to clearly define the location of contaminated soil before remediation can begin. The borough is waiting on a grant application made to the Pennsylvania Department of Community and Economic Development to pay for a study delineating the exact location of the contamination. The actual cost of cleaning up the park will not be known until the pending study is completed. Plymouth Township Council recently adopted an ordinance amendment requiring that construction contractors and subcontractors be registered with Plymouth Township. The regulation also requires that contractors and subcontractors working in new construction or alteration, maintenance of repair of structures provide insurance certificates as proof of comprehensive general liability coverage, as well as workers’ compensation coverage. Contractors will also pay an annual registration fee in an amount set by the township. Councilman David Gannon said the measure expands what the township “already had” in place for plumbers and assures that Plymouth Township treats every contractor the same. Hatboro residents will face a referendum question on the primary election ballot on Tuesday, May 21. Hatboro voters will be asked to approve a dedicated library tax of 0.55 mills on all taxable real estate within the borough to support Union Library. The library currently receives funding through an annual allocation from the borough’s municipal budget — last year’s allocation was about $90,000. If the tax is approved, the average homeowner in the borough would pay less than $70 per year. Supporters of the tax say it will provide a stable source of revenue for the library. Budget allocations tend to be volatile and are at the discretion of borough council. Supporters of the referendum, known as the Yes Committee, have set up a website advocating for the tax. The new ‘State of the City’ report by Pew Charitable Trusts’ Philadelphia Research Initiative reads like Philly’s annual physical, clocking growth, successes and struggles over the past 10 years. During that time, the city has reversed its long track record of population decline, added jobs and become increasingly diverse. Beneath these positive trends lie persistent, well-known difficulties. In the past decade, the city’s poverty rate inched up, from 24% to 26%. The opioid crisis continues to stress public safety and public health systems. One takeaway related to housing: In 2017, Philadelphia flipped from having more owner-occupied homes to having more renter-occupied homes for the first time on record. Chock full of small, affordable row homes, Philadelphia has traditionally boasted high rates of homeownership, and a high percentage of low-income homeowners. With more people renting, the share of low-income renters is growing. Nearly 54 percent of renters are considered “rent burdened,” meaning they spend more than 30 percent of their income on housing. High poverty in the city is a bigger factor in the mismatch between income and rent than rental prices. Philadelphia’s laws are set by the 17 member city council. The Philadelphia Inquirer asked incumbents and challengers what their first proposed bill would be if they win their party nomination in May and the general election this fall. Five candidates said their first priority would be to repeal or reform Philadelphia’s 10-year tax abatement, which provides a break on property taxes on new construction. Backers say it has helped spur a building boom in the city, while critics say it encourages gentrification, reduces the stock of affordable housing and costs money that could go to schools. Another five council candidates said their first measure would further affordable housing or rent control. A few want to prioritize the environment, and three have pitches for government reform, including term limits and limiting the land-use power that current district council members enjoy, known as councilmanic prerogative. Not everyone answered the request, which was part of a larger survey the Philadelphia Inquirer circulated to candidates. Read the answers received here. Citing operating deficits and a lack of financial stability, the Historical Society of Pennsylvania announced that it would lay off 10 staff members, about 30% of the total, trim programming and services, and focus on its role as a library and archive. The board chairman, Bruce K. Fenton, said the hope was that by eliminating jobs, the organization would buy time for "a period of financial recovery and careful planning for its future.” The society, at 13th and Locust streets, has been seeking to partner with an academic institution for about three years. Extensive talks with the University of Pennsylvania did not bear fruit, but over the past year and a half, the society has been discussing affiliation with Drexel University. Founded in 1824, the society houses over 600,000 printed items and nearly 20 million manuscripts. It had a staff of about 35 before the layoffs, according to Charles T. Cullen, the society’s interim president and chief executive.